Oral solution. 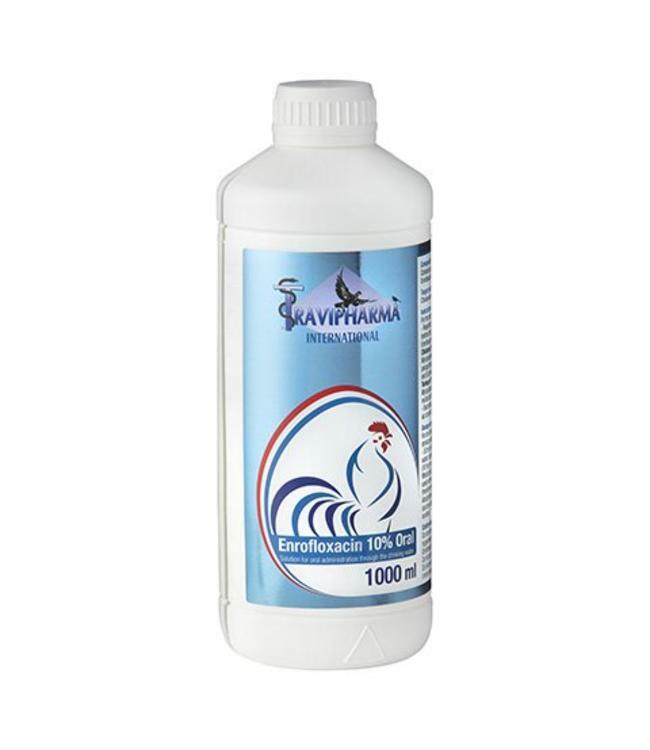 For the treatment of respiratory,- urinary,- and gastrointestinal tract infections and secondary bacterial infections. Contains per ml: Enrofloxacin 100 mg.